Derby County win 5-3 on penalties. Derby County came from two goals down for the second time against Southampton to force a 2-2 draw and penalties before winning the shootout 5-3 to book their place in the fourth round of the FA Cup. Captain Richard Keogh scored the winning penalty after Nathan Redmond had missed the target from 12 yards as Frank Lampard's side set up a tie with Sky Bet League One side Accrington Stanley. Earlier in the evening, Southampton looked on course for the next round after goals from Stuart Armstrong (68) and Nathan Redmond (70) but just as they did in during the first tie at Pride Park, the Rams roared back through goals from Harry Wilson (76) and Martyn Waghorn (82) before their penalty heroics. 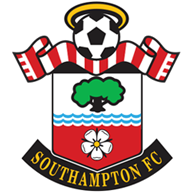 Southampton: Gunn (7), Cedric (6), Stephens (7), Vestergaard (7), Ramsay (6), Romeu (7), Ward-Prowse (6), Johnson (6), Armstrong (7), Elyounoussi (6), Long (7). Subs: Redmond (7), Gallagher (6), Slattery (6), Targett (n/a). Derby: Roos (8), Bryson (7), Tomori (7), Keogh (7), Wilson (8), Mount (8), Waghorn (7), Marriott (6), Bogle (7), Huddlestone (6), Malone (7). Subs: Nugent (6), Lawrence (6), Holmes (6), Bennett (n/a). Man of the match: Harry Wilson. Not for the first time this season, VAR was once again a talking point when Derby thought they had taken a first-half lead, however, Craig Bryson's finish was correctly disallowed for offside following an intervention. Replays showed striker Waghorn, who provided the assist for Bryson, was marginally offside in the build-up to the 38th-minute strike, with referee Anthony Taylor ruling it out after a delay of more than two minutes. The game eventually burst into life after the break. Scotland midfielder Armstrong broke the deadlock in the 68th minute, heading in a rebound from close range after Long's effort from Mohamed Elyounoussi's cross was cleared off the line by Scott Malone. Redmond, who replaced Tyreke Johnson at half-time, doubled the advantage two minutes later by racing onto Jack Stephens' pass and lifting the ball over the onrushing Kelle Roos. 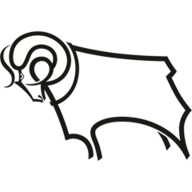 Wilson started Derby's fightback with a free-kick from wide on the right which evaded everyone and found the bottom-left corner in the 76th minute. The Wales international then provided a pinpoint cross for the unmarked Waghorn to head into the top-right corner six minutes later to level things up. Southampton boss Ralph Hasenhuttl admitted the most positive aspect of his first cup replay as a manager was the opportunity to clear the suspensions of Yan Valery, Pierre-Emile Hojbjerg and Charlie Austin before Saturday’s Premier League clash with Everton.The Austrian handed a first senior start to 20-year-old midfielder Tyreke Johnson as part of five changes to the side that beat Leicester at the weekend. Meanwhile, Frank Lampard made six changes to the team beaten in 2-0 by Leeds inWest Yorkshire, starting fit-again Liverpool loanee Harry Wilson following a hip injury. Derby substitute Tom Lawrence had a chance to prevent extra-time when he nodded Waghorn's delivery over the crossbar in the dying moments. Redmond then wasted a golden opportunity to restore Saints' lead in the 111th minute, firing straight at Roos after being slipped in by Oriol Romeu, before his off-target spot-kick in the shoot-out proved decisive. Southampton have been eliminated from the third round of the FA Cup by a side from a lower division than themselves for the first time since 2001-02 when Rotherham United beat them 2-1. Derby County have now progressed from all three of their penalty shootouts in the FA Cup, all coming in third round replays (also against Sheffield Wednesday in 2007-08 and Millwall in 2009-10). Nathan Redmond has been directly involved in seven goals in his nine games under Ralph Hasenhuttl for Southampton in all competitions (five goals, two assists), as many as his last 63 appearances for the Saints combined before the Austrian's arrival. There were just 136 seconds between Stuart Armstrong opening the scoring and Nathan Redmond doubling Southampton's lead against Derby. Wilson's return from injury was timely for Lampard's side. Starting again for the first time following a hip injury, the Liverpool loanee scored one and set up the other as Derby roared back to knock out Premier League Southampton on penalties. Wilson has now scored eight goals from outside the box in all competitions this season, at least twice as many as any other player in the top four tiers of English football in 2018/19. The 21-year-old has also had a hand in 14 goals across all competitions for Derby this season (11 goals, three assists) - more than any of his team-mates. Southampton return to Premier League action on Saturday when they take on Everton at St Mary's. Derby also return to league action on Saturday when they host Reading in the Sky Bet Championship.